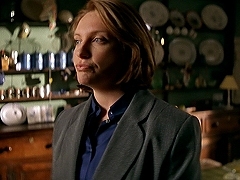 Julia (Toni Collette) finds the cottage where the family has been in hiding, but comes minutes too late to catch them. In the hospital, Julia (Toni Collette) finally gets hold of Bernadette (Helen McCrory), but is locked in before getting hold of her. Having checked into a sleazy hotel, Julia (Toni Collette) tries to feel home over the telephone with her husband (James Nesbitt). Julia (Toni Collette) interviews Spendlove's brother Frank (Jason Flemying) about the whereabouts of his relatives. Detective Julia Armstrong (Toni Collette) is assigned to a new case while and is brought to her limits faster than she has thought. Rob (Dominic West) tries to catch up with Diana (Toni Collette) after she has left for the airport. 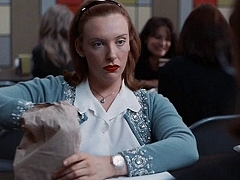 Diana (Toni Collette) shows disgust in Rob's (Dominic West) profession as a paparazzo. 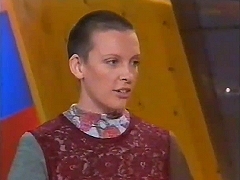 Diana Spencer (Toni Collette) finds out she has won the Woman's Day competition for a trip to London and a meet and greet with the Princess of Wales. Prologue for Diana and Me, which was shot later to update the storyline of the film. Excerpt from the film "Clockwatchers", starring Toni Collette, Lisa Kudrow, Parker Posey and Allana Ubach. Home video trailer for "Clockwatchers", directed by Jill Sprecher and starring Toni Collette, Lisa Kudrow, Parker Posey and Allana Ubach. 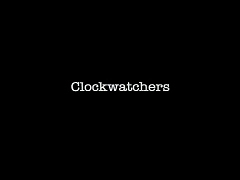 Theatrical trailer for "Clockwatchers", directed by Jill Sprecher and starring Toni Collette, Lisa Kudrow, Parker Posey and Allana Ubach. November 22, 1997. Toni Collette attends the Australian show Hey Hey It's Saturday to promote the theatrical release of Diana and Me. December 07, 1997. Interview with David Parker and Toni Collette on the release of "Diana and Me" and the changes that were made after Princess Diana's death. January 30, 1997. Interviews with director Karen Sprecher and actors Toni Collette, Parker Posey and Lisa Kudrow at the Sundance premiere of "Clockwatchers".